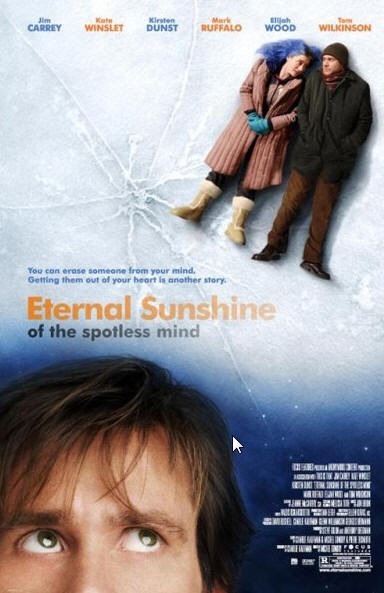 What a movie – Eternal Sunshine of the Spotless Mind. This is a fact that everyone of us has at least one person (if we try to think of) whose memories we want to get erased from our life. In this movie, such tool and procedure is shown. It sounds good and sounded good to me as well. The bad point is that the way actual life can be lived is much better than following such procedures, erasing your memories finding faults in yourself in future, feeling that you missed something which you don’t remember. This is the movie which makes you realize that life is much better in the way it is, though not perfect for anyone. If you try to get it morphed or modified, you may miss something in rest of your living. Doesn’t it sound like you shouldn’t go artificial way if really not necessary, leave plastic surgery, hair transplant but minor transformations like laser eye operations and hair-coloring? Of course, procedures like organ-transplant, heart surgery are essential for life but why anything else? I feel like that…why to go artificial when original life is so beautiful and is meant to be like that only! One day you are going to love it if you lived truly natural life. BTW, It was nice to hear Hindi songs being played in background when Joel is at Clementine’s home for first time in very start of movie. Concept is outstanding but picturing and end result disappointed.